WHAT’S YOUR BIGGEST FEAR WHEN LISTING YOUR PROPERTY WITH A REALTOR? I DON’T WANT TO BE OBLIGATED TO A 6 MONTH LISTING. I’M WORRIED THAT ONCE I LIST, I’LL NEVER HEAR FROM THE REALTOR. MAYBE THE REALTOR I’M LISTING WITH IS ALL TALK AND NO ACTION. THAT I WON’T GET ANY FEEDBACK ON MY PROPERTY. I DON’T WANT TO BE OBLIGATED TO SOMEONE THAT DOESN’T FOLLOW THROUGH. SO WHAT IS OUR EASY EXIT LISTING AGREEMENT? We simply stand behind our service! We guarantee to aggressively and consistently promote your property through our comprehensive marketing program to get it noticed and sold. We also promise to provide you with the excellent service in getting you top dollar in the shortest amount of time possible. 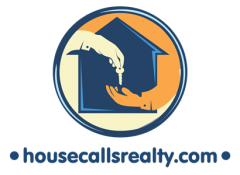 If for whatever reason, and at anytime you feel that we are not doing an excellent job in marketing your property, you may cancel your listing agreement with House Calls Realty with just 7 days written notice. Again, we stand behind our service and will provide you the best results Colorado! Thank you in advance for your consideration when buying and selling Colorado property!